On Bobby Foehr’s chicken farm, you will find no cages, crammed chickens, artificial ventilation and light, or feed filled with hormones. The only automated piece of equipment on the farm (besides the tractor) is a newly purchased egg cleaner, which washes the eggs with water instead of the chemical bath normally applied to factory farmed eggs. My search for humanely produced eggs led me to Coastal Hill Farm in Petaluma, California to meet with Bobby and discuss what it takes to start and operate a small scale, humane certified chicken farm. When I arrived at the farm, I found Bobby near his pig pen. On the hill behind us stood a large red barn where I could hear the cacophony of hundreds of chickens clucking away, punctuated by a few roosters calling out as though it was sunrise. I asked Bobby the main question that was on my mind—what’s the difference between factory farming and raising certified humane chickens? Bobby responded by motioning to the pigs grunting just next to us. There were five of them, happily roaming around their pen, eating food scraps from a local deli and digging a mud pit so deep and close to the fence that they were threatening to knock it down. A few chickens had wandered in from the barn, and were pecking at any food scraps that the pigs had yet to demolish. In a factory system, Bobby told me, there would be fifty pigs in the same space, all kept together on a floor of concrete (pigs don’t produce sweat so they have to dig mud pits in order to cool themselves off). So why had Bobby decided against starting up a factory farm himself? Bobby had been around chickens most of his life. When he was a kid, his grandfather owned a dairy where he kept a small coop. With an interest in agriculture running in his family, Bobby’s studies at Cal Poly focused on agribusiness with a concentration in farm and ranch management, as he felt that having a grasp of the business side of farming would give him a valuable set of skills to start his own farm one day. He minored in poultry management, which was inspired by his love of birds as well as his curiosity to compare what his grandfather had taught him about taking care of chickens with what his professors had to say on the matter. After he finished college, Bobby’s work on chicken farms eventually led him to work for his cousin David Evans—who runs a successful farm, butcher shop, restaurant, and meat CSA called Marin Sun Farms. Bobby helped set up Marin Sun’s mobile chicken hutches which follow David’s cattle throughout his pastures as they graze, picking through their manure for worms and foraging the grasses; natural chicken behaviors which serve to decrease the fly population and spread manure throughout the fields. 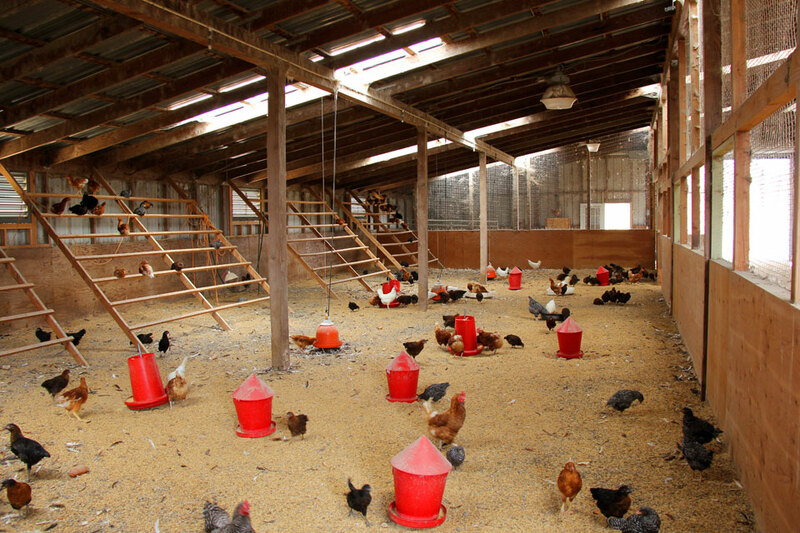 Bobby was inspired by this style of sustainable, small scale chicken farming, as he had only ever seen industrial size grower houses throughout his studies at Cal Poly and subsequent work on chicken farms. When Bobby’s grandfather passed away he was left with some land and decided to start a chicken coop out of his grandfather’s old milking barn. Ideas for starting his own farm had been in the works for some time but there wasn’t the opportunity, or rather capital, to launch such an enterprise. Startup costs, especially for a small scale farmer, are incredibly high. The costs of running such an operation are dominated by the amount of labor that goes into producing a smaller amount of product. 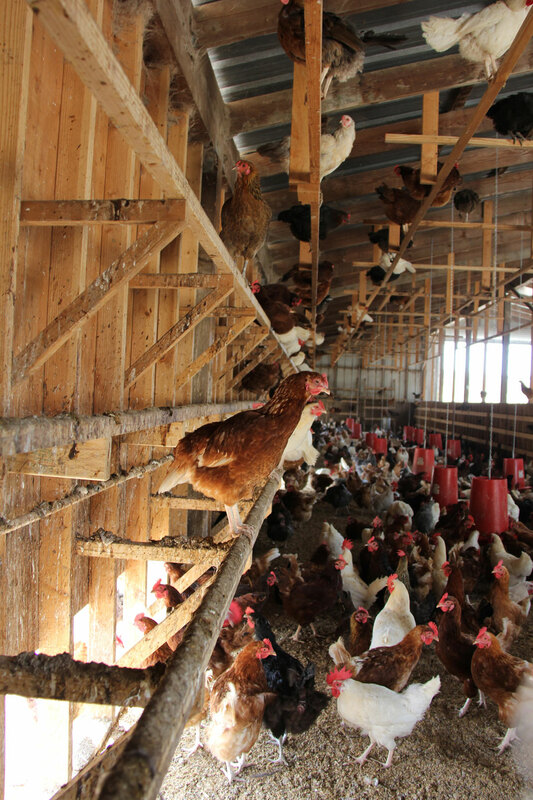 At Coastal Hill, where all of the eggs are gathered by hand, Bobby has more people working on fewer chickens, whereas a commercial farm—which can house thousands of chickens through vertical cage stacking—reduces its costs by employing an almost entirely automated system on a greater number of birds. When we came upon the subject of how the mechanization of commercial farming has allowed farmers to grow into larger and larger operations, Bobby told me a story of a visit he made to an industrialized chicken farm. Touring through stacks of chickens, he noticed that their claws had grown about an inch and a half down into the cages below. “I was thinking all of these crazy thoughts like—man, they must clip their toenails or something. Or perhaps they have this machine that runs a little cutter across them. For Bobby, running a successful, small egg operation with high animal welfare practices has required a reorganization of personal priorities. To a certain extent, said Bobby, you have to give up having a life outside the farm. To raise capital to start his business, he cut out every personal expense that wasn’t strictly necessary. Even now that his farm is established, he remains careful with his money, opting to invest back into his farm. He doesn’t go out to eat often, buy much for himself, and as for vacation time—forget it. Farming on this scale is pretty much a 24 hour a day, seven days a week job. “It’s amazing how much money you can save when you don’t do stupid things,” Bobby joked. In his experience working on commercial farms, Bobby learned that the density in which poultry are often packed can be so great that if the automated ventilation system in the grower house is turned off, even with the doors open, the birds’ combined body heat alone would raise the temperature in the room so high that it would kill them. The barn that houses the chickens at Coastal Hill on the other hand, allows ample space for Bobby’s chickens and roosters to move about freely—whether it is to the wall of nesting boxes or feeders, of which there are plenty, to the perches that line both sides of the barn, or to roam and forage outside on a hill that overlooks neighboring farmland. Both ends of the barn are open to fresh air and as Bobby and I stood with chickens pecking around our feet, I noticed that although the barn housed almost a thousand chickens in it, there were no disagreeable odors. Chickens are naturally competitive and hierarchical animals. If resources and space are limited, they will bully and peck each other, sometimes to dire effect, which is why factory farms so often cut part of their beaks off. Factory farms sometimes utilize toe clipping, which is amputating birds’ toes just behind the claw. Neither of these brutal and painful practices are used on Bobby’s farm and there is ample space, nesting boxes, perches and food troughs for the birds to live comfortably. 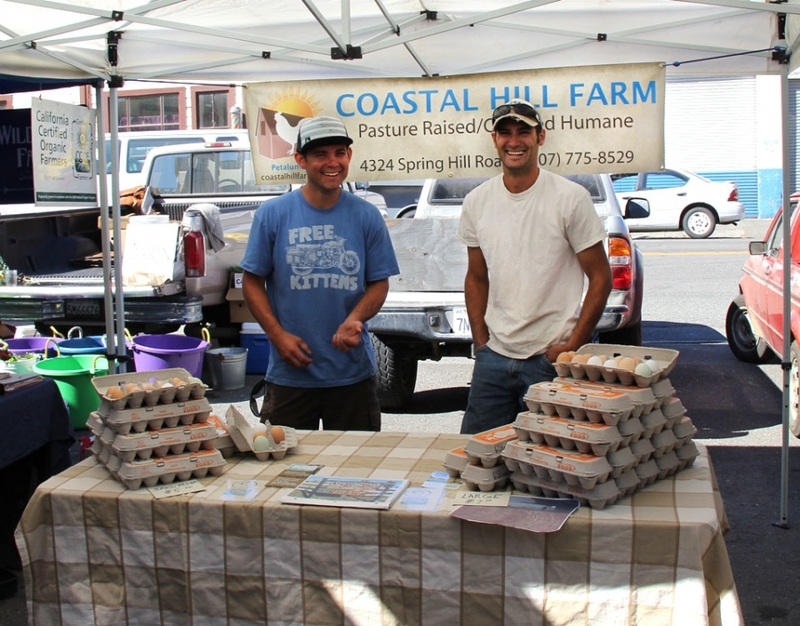 Because of the difference between the practices at Coastal Hill Farm versus a high density industrial farm, Bobby mentioned that even eggs shipped from a factory farm in Iowa to California are able to be sold at cheaper prices than Coastal Hill eggs. During my tour of Coastal Hill, Bobby emphasized how sensitive chickens are. It takes only a little stress, such as under or overfeeding, not enough water or any kind of trauma, to reduce egg production. Once at Coastal Hill, a red tailed hawk swooped down and killed one of Bobby’s chickens, an act which the rest of the flock witnessed. The hens were so upset over this that many of them ceased laying eggs. Bobby lost up to 100 eggs a day for about 10 days after the incident. Meanwhile, all of the usual expenses still remained, which ended up costing him a good deal of money. In industrialized farms, or CAFOs (concentrated animal feeding operations), chickens are densely packed, living their entire lives indoors in artificial lighting and fan ventilation rather than fresh air. If you’ve ever seen any HSUS videos, or even the movie Food Inc., you will have seen the corpses of chickens who have been trampled or simply died from these extreme conditions. Once I heard Bobby’s story of his incident with the red tailed hawk, I could only imagine how these corpses often found in CAFOs affect their sisters. We rarely, if ever, think of eggs as a seasonal food. However, chickens naturally reduce or even cease egg production to moult— reserving their energy instead to replace old feathers with new ones and letting the reproductive system rest and rejuvenate. There are different stimuli to trigger moulting, but the most common is the decrease in day light experienced during the winter months. So how is it that we can go to the grocery store any time of year and find eggs on the shelf? 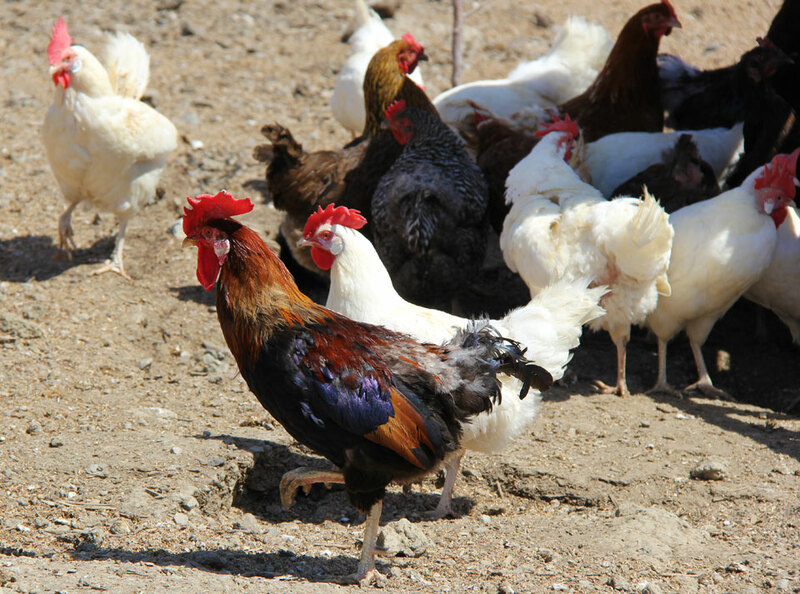 Many farmers force their chickens into shorter moulting periods or at times carefully planned by the farmer so as to reduce the effect on their overall egg production. Farmers can do this either by starving their chickens for a period of time or by modifying the artificial lighting in the grower house to simulate decreasing day light. Raising chickens naturally means letting them moult naturally. Bobby does not use any tactics to force or control their moulting cycle. I asked him what he does during the winter months and he responded candidly—he loses money. Although raising his chickens this way costs him financially, his aim is to make a profit within his personal value system—not at the expense of his birds. Read our article on the seasonality of eggnog. Because Bobby has fewer than 3,000 chickens, he is not required to use chemical washes to clean his eggs. Unlike factory farms, the spatial allotment along with Bobby’s upkeep of the barn ensures that the birds aren’t living in their own filth. Because Bobby keeps such a clean, open environment, the egg cleaning process is quite simple as there is never much detritus to be washed off. Only water is used to clean the eggs instead of the usual chemical bath that conventionally produced eggs are treated with. Read our list of quick facts about egg cleaning. For instance, Bobby’s eggs are certified humane but cannot technically be called organic, only because he feeds his birds (and his pigs) kitchen scraps of fruits, vegetables and bread from local food businesses that would otherwise be wasted—not all of which are certified organic. Feeding these scraps to chickens reduces what goes into landfills and promotes the recycling of food waste into soil fertilizer through the chickens’ manure. Bobby considers his farm to be free range. However, there is a big difference between the land that Bobby allows his chickens open access to and a concrete porch—which some farmers who label their eggs free range consider passable access to the outside. Some would call Bobby’s eggs “pasture raised” due to the large outdoor area in which his chickens roam. 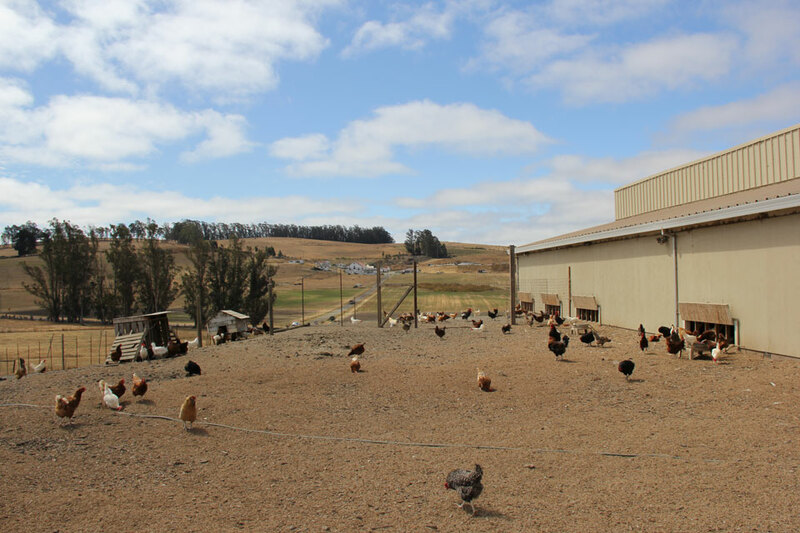 Bobby himself considers “pasture raised” to be an operation like Marin Sun Farms, with its mobile chicken coops following a herd of cattle throughout acres of pastured land. 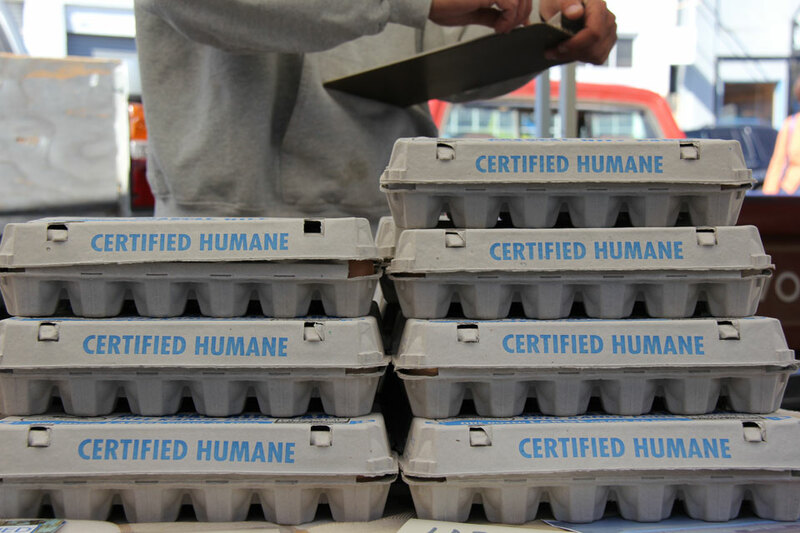 And even when it comes to the certified humane label, standards differ between third party humane certifiers. Read our article on certified humane labeling. When it comes to the nutritional value of eggs, Bobby admitted that it is hard to definitively say that free range or pasture raised chickens lay more nutritious eggs. 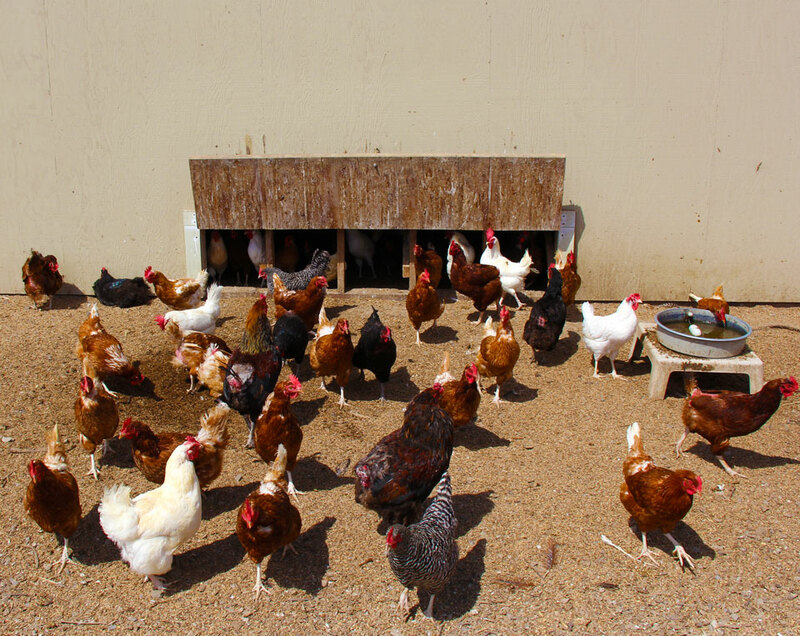 In industrial chicken farming, the nutritional content of the egg can be boosted by nutrient supplements in the chickens’ feed. There are even ways to make the yolk look more yellow, which used to be a good visual indicator of a nutrient dense egg. Bobby does feel, however, that a chicken that lives a healthy life in a natural environment, will produce stronger more nutritious eggs than those who are stressed, unhealthy, and propped up with vitamins and other, more dubious additives. 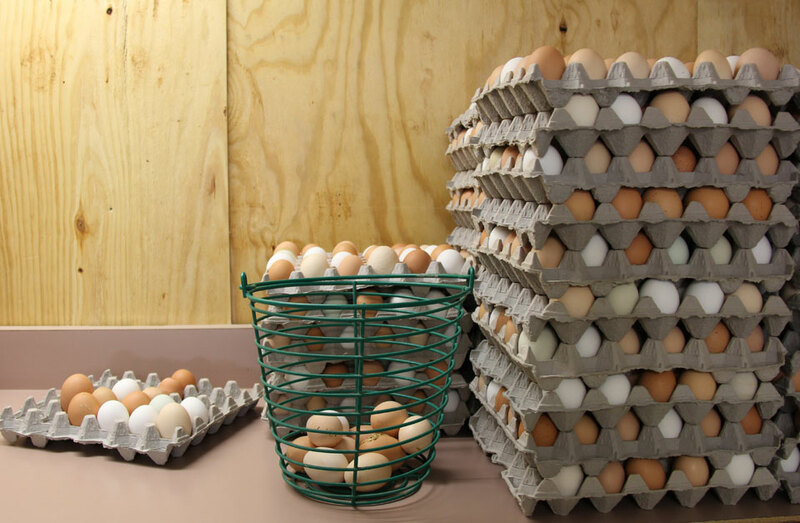 A lot of small farms do tours, which Bobby advises is one of the best ways to find a local, humane egg producer. If you are unable to go on a tour, try to do some research and check out egg producers’ websites for additional information on their raising practices. Transparency is key when choosing which food producers to buy from—those who have nothing to hide will proudly share their farming practices with the public. You can tell someone all day long about what goes on at a farm, Bobby shared, but seeing the contrast between industrial farming and a small, truly free range farm can make all the difference when trying to decide which eggs to buy.